Keraquick XL Fibrelite is the latest lightweight flooring adhesive from Mapei. Fibre reinforced, Keraquick XL Fibrelite has the properties to fix sizes of large format tiles up to 1500mm x 1500mm in both residential and commercial installations. 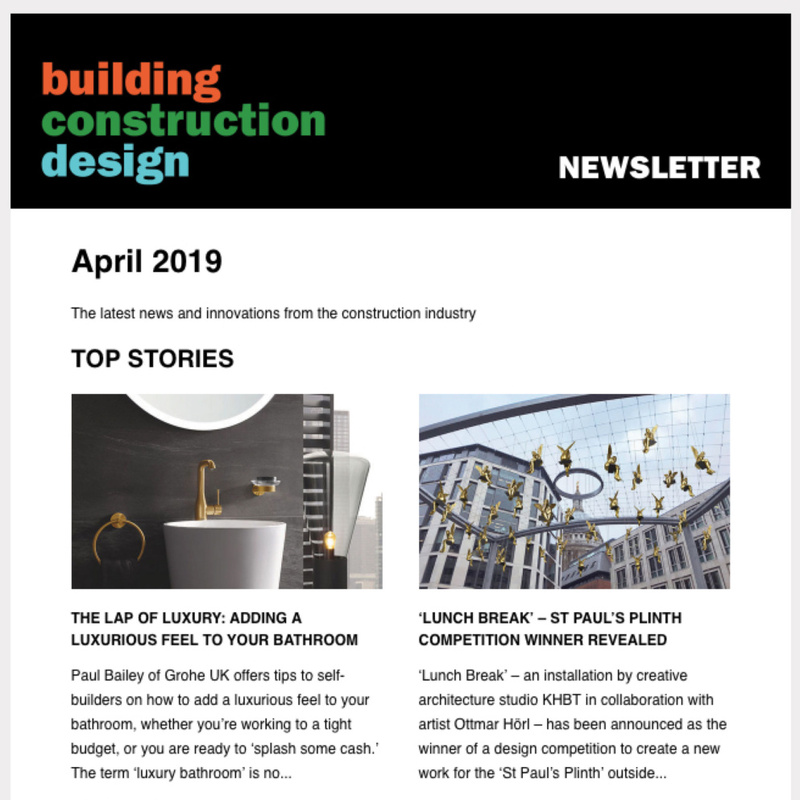 With a high yield, the deformable cement-based adhesive is suitable for installing porcelain, ceramic and non-moisture sensitive natural stone materials to floors, including those with electrical underfloor heating systems. When hardened the adhesive is frost and water resistant which means it is suitable for both interior and exterior applications. 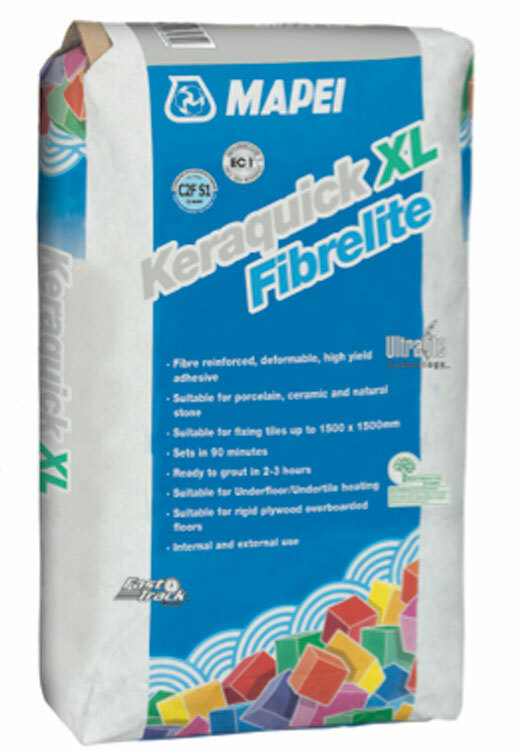 Keraquick XL Fibrelite is a powder adhesive manufactured at Mapei’s UK factory in the West Midlands. 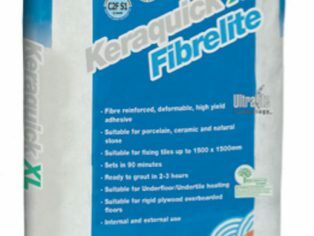 Composed of a mixture of special cements, selectively graded aggregates, synthetic resins, fibres and setting accelerators, Keraquick XL Fibrelite develops a high bond strength after only 90 minutes, allowing for installations to be completed very quickly with general foot traffic after 12 hours. 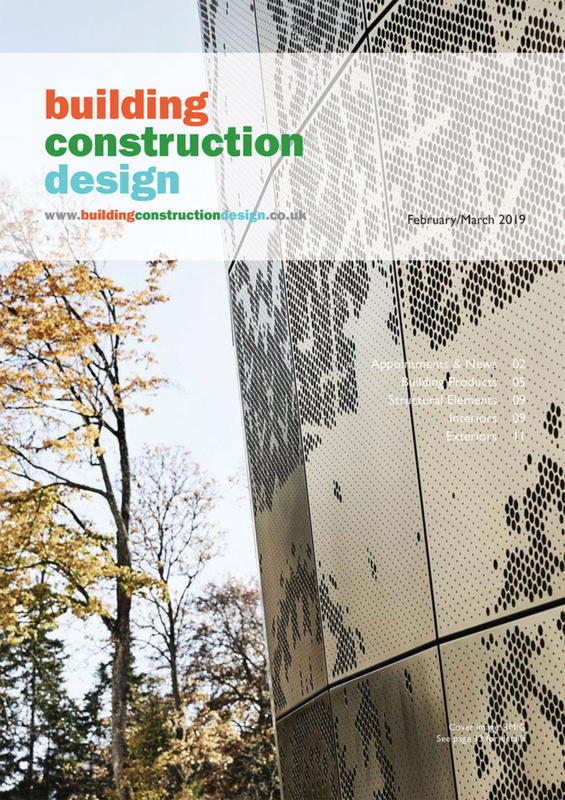 For more information about using Keraquick XL FIbrelite in your project, email info(Replace this parenthesis with the @ sign)mapei.co.uk or call 0121 508 6970 to speak to Mapei’s dedicated Technical Services Department. View the full range of products for Ceramic at www.mapei.co.uk.